Charles Dickens called Washington a “city of magnificent intentions.” When Barack Obama takes over on January 20th as the 44th President of the United States, he will need to translate his own lofty ideas into realities. What makes the challenge bigger for him is that he may also be carrying another title: the first globally-elected President of the United States. Unlike any other presidential election in US history, his nomination was favored by denizens of over 90 countries worldwide. All his supporters, here and abroad, expect him to transform the image and reality of the United States, in short order. While this is a daunting task, it also offers him a grand opportunity to make some bold decisions and set the United States and its partners on a fresh path, where an engaged and principled US foreign policy based on humanity and justice would be the rule. 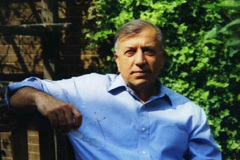 Shuja Nawaz is the author of Crossed Swords: Pakistan, its Army, and the Wars Within (2008) and FATA: A Most Dangerous Place (2009). He is Director, South Asia Center at The Atlantic Council of the United States.